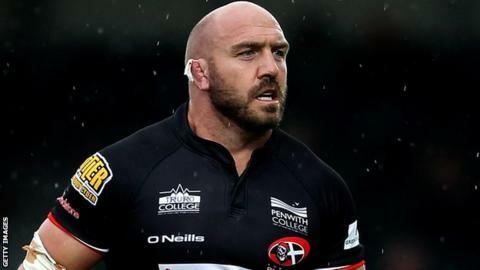 Cornish Pirates have appointed veteran prop forward Alan Paver as a player-coach on a two-year contract. The 36-year-old, who has been with the Pirates for almost 12 years, had already been at the Mennaye. He in moving across to the club's coaching team. "Paves is cut of the same cloth as Gavin, both have been tremendous servants of the club," said director of rugby Ian Davies. "These new roles are just a continuation of their importance to the Cornish Pirates." Paver joined the Pirates from Plymouth Albion in 2002 and has played 310 games for the Penzance-based club. He also had a playing once in the Premiership for them against Saracens in October 2011. "Alan has always had a leading input with the scrummaging here at the Pirates but now this role will help him expand his focus to other parts of the team," Davies added.